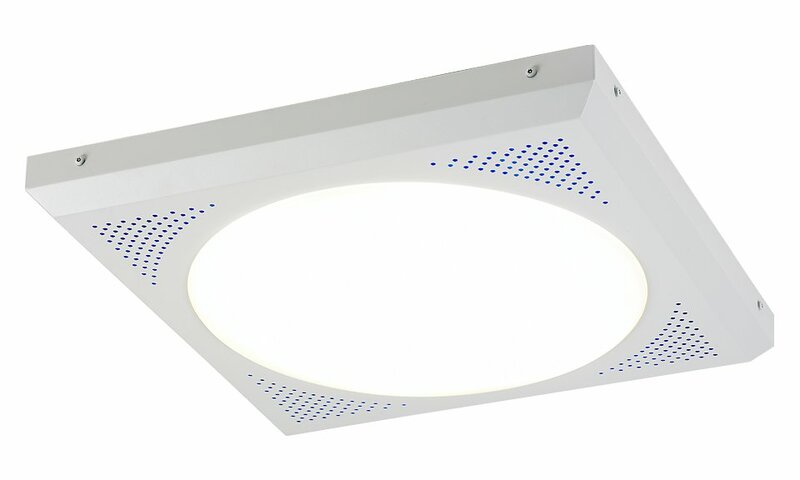 The Orbit Secure LED range of ceiling luminaires offer a choice of surface or recessed versions for secure ceilings. The Orbit Secure LED provides an elegant appearance and excellent light distribution utilising an LED optimised opal polycarbonate diffuser, specifically designed for use in secure environments. Perforated options are available where aesthetically pleasing equipment is needed. The Orbit Secure LED range is particularly suited for use in the following applications and environments. 80% of initial lumens maintained after 61,000hrs, 10% of luminaires will have less than 80% of initial lumens after 61,000hrs. Alternatively, 90% of luminaires will have maintained 80% of initial lumens after 61,000hrs. Download Orbit Secure LED Photometric Data in EULUMDAT (ldt) format suitable for use in lighting calculation software such as DIALux and Relux. 1For use with ORCP and ORCSP versions, which are supplied with Opal gel as standard. Alternative and mixed colours available on request.